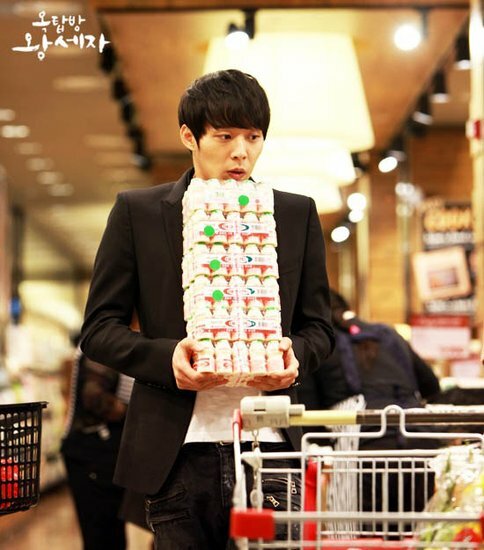 On May 15th, 2012, the official website of SBS TV series “Rooftop Prince” published the post with the title of “Your Majesty who is addicted to yogurt, drinking excessive lactobacillus! ?” and at the same time uploaded 4 behind the scene photos. 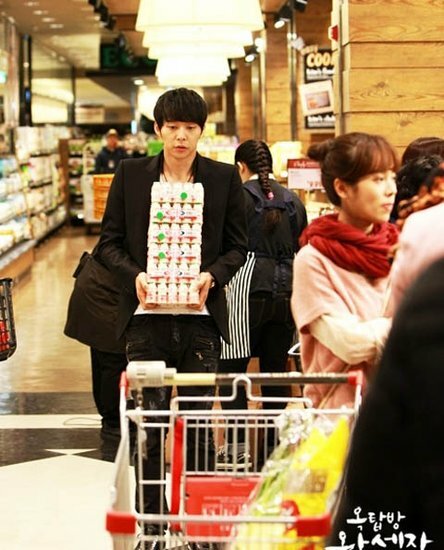 The photos are from a scene in episode 8 aired on April 12th, 2012, where Lee Gak (played by JYJ Park Yoochun) who was wearing a black suit and black jean held stacks of yogurt carefully in his hands, and happily placed them in the shopping cart, astonished Park Ha (played by Han Ji Min) who was pushing the shopping cart. 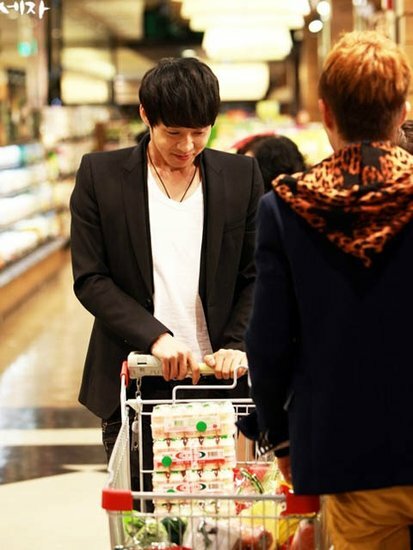 The series of lovely actions by Park Yoochun is very interesting. 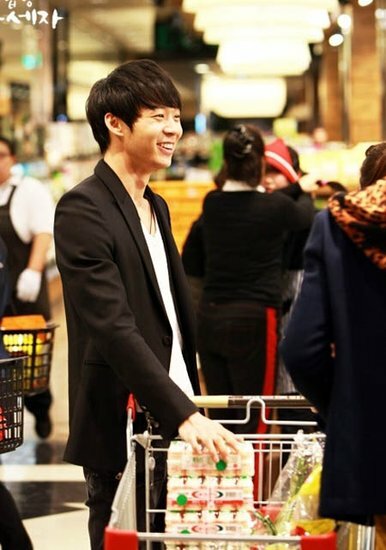 Netizens commented, "Your Majesty who happy like a kid," "How's the taste of yogurt, is it sweet?" "The love of yogurt is really persistent," "The happy look is so cute!" and so on. Currently, Park Yoochun is starring in "Rooftop Prince" in the dual role of crown prince Lee Gak and Yong Tae Yong, the stable acting has been well liked by audience.